"It was early evening, probably around 6pm or so at low tide. We noticed there were starfish walking around on the sand near the water. "Some were in tide pools but some were just strolling on the sand, very, very, very slowly. The ones that were on the sand we carefully relocated back to the ocean or a tide pool. "Other people coming out to the beach were fascinated by the large amount of starfish and helped relocate the walkers to the water as well." 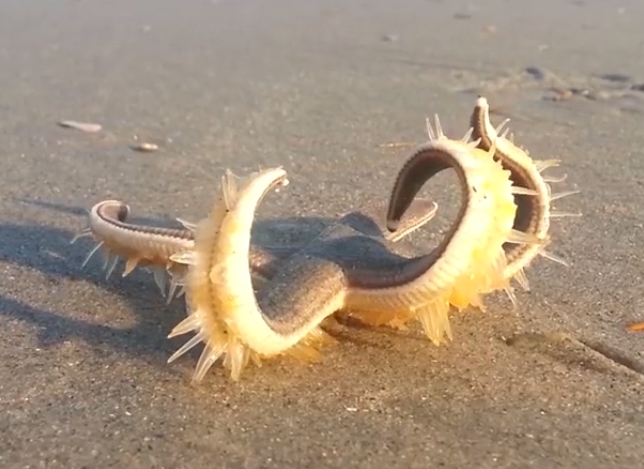 Although many are fascinated by the unusual nature video some admit it sends shivers down their spines. Vina Coladad wrote on Twitter: "I get more spooked every time I watch this. I used to love starfish now I am not so sure." Nadia Pin added: "If I saw that walking towards me I'd run the other way as quick was my legs would take me. It's just weird." It’s truly an amazing sight that reminds us of how diverse the earth is. It is also an important reminder that all life, big or small should be respected and protected. We love the unusual yet beautiful movements made by the fish’s little tube feet as it works its way back to the ocean. It was also reported that this little one was given a helping hand to ensure its survival. 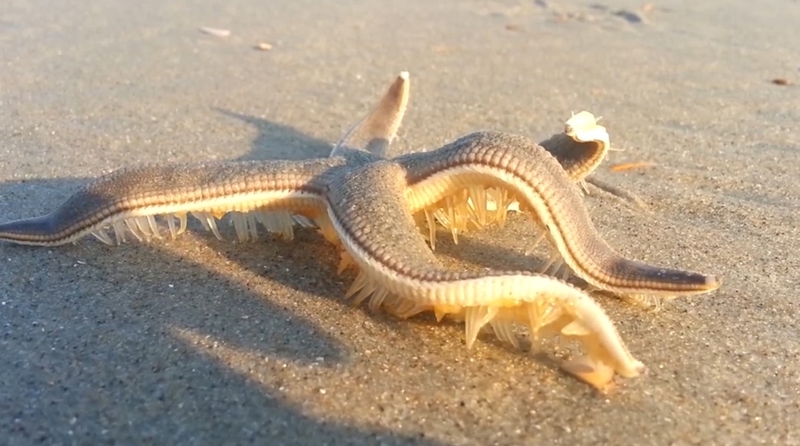 Unfortunately, for these echinoderms, pollution is causing starfish populations to drift apart. According to a study by Jon Puritz and Dr. Rob Toonen with the Institute of Marine Biology (University of Hawaii), this is affecting the starfish in two ways including their diversity and even genetically. By simple strategies like recycling more plastic materials a whopping $80 to $120 billion can be saved annually, which in turn can be used to clean up the mess we have made of our oceans. Through projects like the Trash Free Seas Alliance and doing your own due diligence at home, we will all be working towards the common goal of protecting our oceans, animals, and planet. 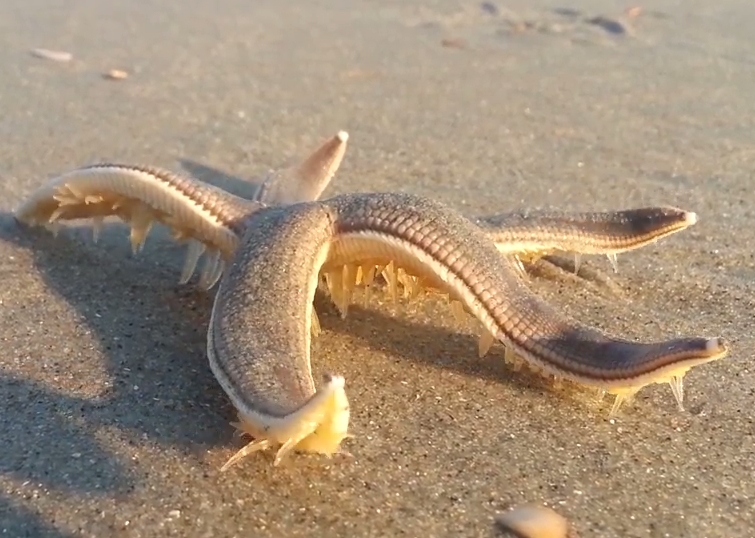 Responses to "Incredible moment starfish Walks down the beach after getting stranded on the sand"